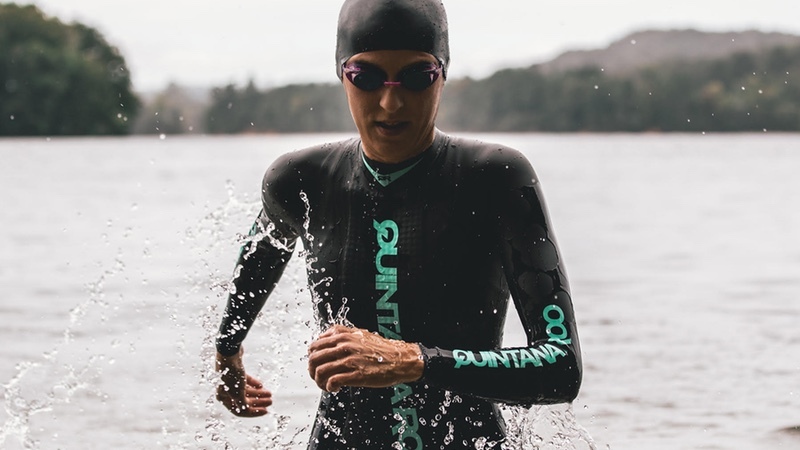 Quintana Roo (QR), the company that developed the first triathlon-specific wetsuit in the late 1980s, is reaching back to its roots and returning to the wetsuit business with a new high-performance wetsuit – HYDROsix. The company adds that the new suit features premium materials and innovative technology. Designed in men’s and ladies’ sizing, each wetsuit comes with a two-year, no-fault warranty. QR is also providing a 100% satisfaction guarantee. For 14 days after purchase, customers can take their HYDROsix for a swim or race in it, and if not happy with its performance, can return the suit for a full refund. “This has been a labour of love for the past 10 months,” said Peter Hurley, President/CEO of American Bicycle Group, parent company of Quintana Roo. “Since launching our custom bike builder feature on the new QR website, we’ve moved so much closer to our customers, and in an almost overwhelming way, they kept asking us for a return to wetsuits. The MSRP for the HYDROsix is US$799 and it will be available for purchase at quintanarootri.com/hydrosix late this year or early 2019. The suit will be available for review at the IRONMAN World Championships at Quintana Roo’s expo booth. Customers who visit the HYDROsix website and enter their email address prior to November 30 will receive a special, pre-launch 20% discount to use when the suit is available for purchase. I really hope that the ULTRAFULL suit will be made again. I swim long distance in Lake Michigan all winter long and it’s the only suit that holds up in very cold weather and not shred up while swimming in slush n ice filled water! I also like how they keep me warm when the air temps are below zero.